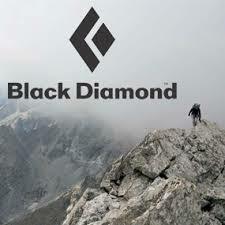 Black Diamond Equipment had a process of lubricating aluminum parts for hot forging that was performed manually. “We had to manually dip them, and our cycle times made that a terrible use of human resources. There was a lot of idle time,” says Mike Will, Operations Engineer. While determining how to eliminate the need for an operator to manually feed the process, finding a company with conveyor systems that could withstand the characteristics of the lubricant was one of the biggest concerns. “As the lubricant sits in open air, it tends to build up on any surface near the water line. As the lubrication evaporates, the solids are left behind forming a kind of sludge. This was a major consideration in how I approached the design of the entire machine, but particularly the conveyor,” says Will. Dynamic Conveyor offers modular conveyors built from plastic modules that allow the conveyors to be submerged in tanks of water or lubricant. The conveyors are self-lubricating and use a positive sprocket drive and tracking with plastic link style belting that eliminates slippage making them maintenance free. The recently implemented automated system links the DynaCon Z-style conveyor with an oven conveyor, so the operator is able to control both conveyors as a single system. The DynaCon conveyor, partially immersed in the lubrication bath, draws parts up out of the bath and feeds them into the oven conveyor.